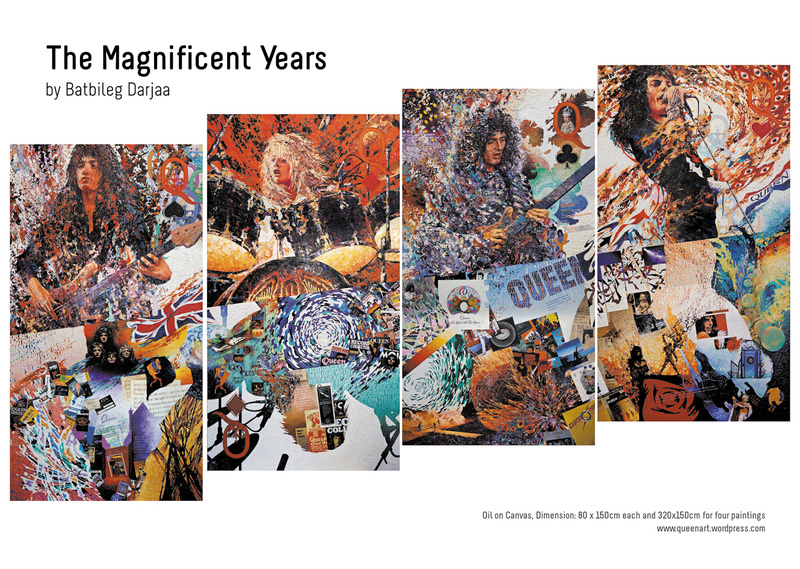 Batbileg’s painting “The Magnificent Years” has been received with huge interest and delight by Freddie fans and the Queen Community both in Montreux, Switzerland and the Dominion Theatre in London. We raised some funds for the Mercury Phoenix Trust and made friends with many people and fans. We recommend you to watch THIS VIDEO to see how much the Queen fans love this extraordinary masterpiece.